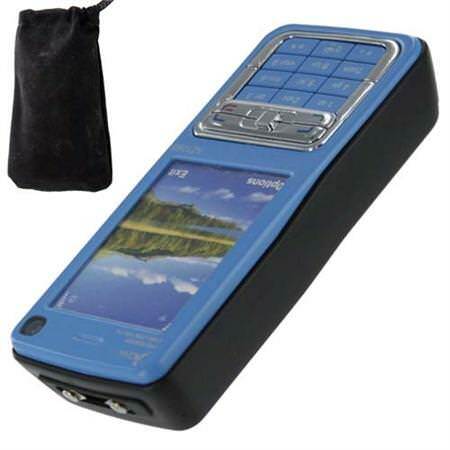 This is the new and improves Cell Phone Stun Gun Blue by Azan. 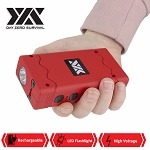 This Azan series Stun Gun features a sleek blue design with a more up-to-date look and realistic feel of a Cell Phone sporting a bright LED flashlight. It punches a cool One Million KV when used. 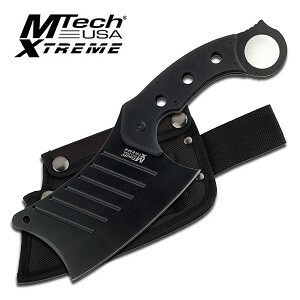 It is an ideal self defense device for law enforcement officials, security guards and civilians due to the amazing power, durability and small compact size. It features an ABS engineering material and alloy metal with a high voltage generator and a built in nickel cadmium rechargeable battery. It comes in a beautiful display black box with a velvet. The pouch also has a draw string. 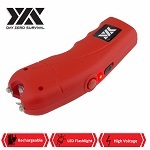 This Azan series Cell Phone Stun Gun comes with a wall charger, it plugs directly into your stun gun and wall with the cord.